SHD Candy Cane Tees & SHD Stocking Tees are currently out of stock. Our Christmas Newborn Baby Rompers and Tees are 100% cotton and offer a comfortable, easy pull-over option for the newborns in your nursery. These novelty Rompers and Tees are available in White and feature three unique holiday designs. Please choose one of three design options. Start creating Holiday traditions in your nursery today with Nurses Choice Newborn Holiday Rompers & Tees. 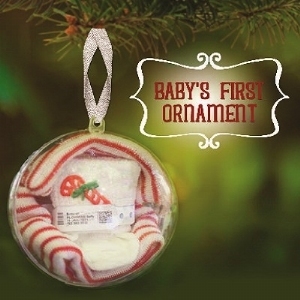 Perfect for infant's "First Photo"